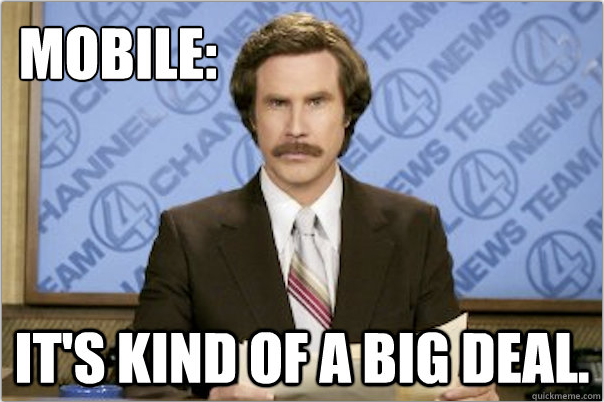 This just in from the world of news: Mobile matters. That’s the clear — if not all that surprising — message from the John S. and James L. Knight Foundation, which just announced the winners of a mobile-themed “News Challenge,” awarding $2.4 million to eight media teams. Most of the winners are little-known up-and-comers, ranging in their focus from political activism to community radio to connecting previously disconnected groups, like farmers in Kenya. You’ve probably heard of at least one of the winners, though: Wikipedia. The online encyclopedia’s owner, the nonprofit Wikimedia Foundation, will put $600,000 from the Knight Foundation toward its mobile users in developing countries. Among their plans: Making articles accessible via text, which could be a boon for feature-phone owners. Textizen ($350,000), an offshoot of Code for America that wants to conduct local public polling by putting questions in public places and then asking residents to respond via text. TKOH ($330,000), which is developing an oral history app to make recording audio and visuals to tell a historical story easier. The app would then let users share those stories with either a small group, like their families, or with the public. Witness ($320,000), a human-rights organization making an app that will add metadata to mobile videos. Thus, an app user witnessing a newsworthy event such as a political protest could send an encrypted video of the event to a journalist, with info about where the video was taken automatically baked into the file. Witness program director Sam Gregory said accountability questions have hampered Syrian rebels in the field: “Their material is not trusted by the news media, and is not robust enough to stand up to evidentiary scrutiny,” he said. The Cafédirect Producers Foundation ($260,000), which will expand its efforts to enable SMS information sharing among small-scale farmers in Kenya, Peru and Tanzania. Digital Democracy ($200,000), a nonprofit seeking to help indigenous Peruvian communities record and share how mining and oil drilling are affecting their lives and environment. The Art Center College of Design ($200,000), which wants to develop an open-source way to turn a smartphone into a community radio station. They plan to start their work with a pilot program in Uganda, but Knight Foundation program director John Bracken said he hopes that groups will share what they learn with others in the Knight network over time.